TORONTO, Ontario, Canada, April 25, 2013 (ENS) – The Ontario Government has stepped in to save a unique freshwater research facility in the Experimental Lakes Area after the Canadian government cut off funding as of March 31. 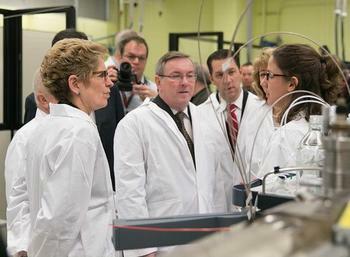 Ontario Premier Kathleen Wynne announced Wednesday that her Liberal government would provide operating support and work toward an agreement with the nonprofit International Institute for Sustainable Development, IISD, based in Winnipeg, Manitoba, to take over operations of the research area. Wynne’s government is working with the federal government of Prime Minister Stephen Harper, a Conservative; the Government of Manitoba and other partners to keep the world-renowned Experimental Lakes Area operational in 2013 and sustain longer-term operations. 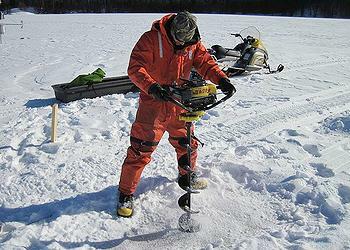 Established in 1968, the Experimental Lakes Area in northwestern Ontario attracts scientists from across Canada and around the world. The site encompasses 58 formerly pristine freshwater lakes 50 kilometers (30 miles) southeast of Kenora, in the Lake of the Woods watershed. IISD is a non-partisan, nonprofit organization specializing in policy research, analysis and information exchange to advance sustainable development globally. “What is special about the ELA is that it takes research out of the lab and right into the environment. The ELA presents a rare opportunity for research, perhaps unique in the world,” said Vaughan, who took over at IISD in early April, after five years as Environment and Sustainable Development commissioner for Canada. In its remote location, the ELA provides a real-world laboratory in which researchers can isolate the effects of specific pollutants on aquatic ecosystems. Over the past four decades, research conducted there has provided scientific evidence on the environmental effects of acid rain, phosphorous and other pollutants that has informed policy within Canada and around the world. With new pressures like climate change, and poorly understood emerging environmental contaminants such as chromite, nanoparticles and endocrine disrupters, Vaughn says the case for continuing to support the Experimental Lakes Area is very strong. IISD launched the Water Innovation Centre in 2009 as a global knowledge hub for water management, with the goal of developing a sustainable management strategy for the Lake Winnipeg Basin. Lake Winnipeg is one of the largest and most environmentally stressed lakes in the world. In the last 30 years Lake Winnipeg has experienced excessive blue-green algae blooms caused by high levels of fertilizers such as nitrogen and phosphorus draining into the lake from rivers and surface runoff. Some 5.5 million people rely on the health of Lake Winnipeg – an economic engine that supports a C$100 million a year tourism industry and a C$25 million a year fishing industry. In 2012, IISD’s Water Innovation Centre received a Sustainia100 award for the Lake Winnipeg Bioeconomy Project, recognizing it as one of the world’s 100 best sustainable development projects. Vaughn says the Lake Winnipeg Bioeconomy Project transforms the issue of Lake Winnipeg eutrophication from a very difficult environmental challenge into a multi-billion dollar investment opportunity.